Violet will definitely be returning, but will it be to TV screens or to movie theaters? The release date for Netflix’s Violet Evergarden Season 2 might be coming much sooner than anyone expected. In fact, it could be argued that an anime sequel wasn’t expected at all. 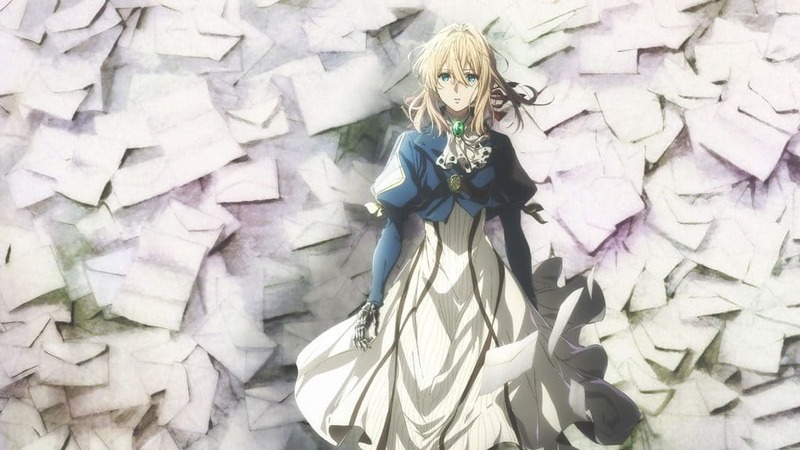 The anime’s story was based on the relatively short Violet Evergarden novel series, but anime studio Kyoto Animation is well known for stretching a story way beyond its source material. Based on the first season, that’s the plan for the upcoming sequel. The third 2018 Violet Evergarden novel officially confirmed that a “new project” was greenlit for production and then in July 2018 the Violet Evergarden movie was announced. The official Violet Evergarden Twitter account also said that the anime movie will be “completely new work,” which presumably means it will be an anime original story. The only question remaining is whether a second season will be announced later, although at least one OVA episode has also been confirmed for release in mid-2018 (see below for more details). The Violet Evergarden anime is based on a 2014 novel by author Kana Akatsuki which won the fifth Kyoto Animation Award. 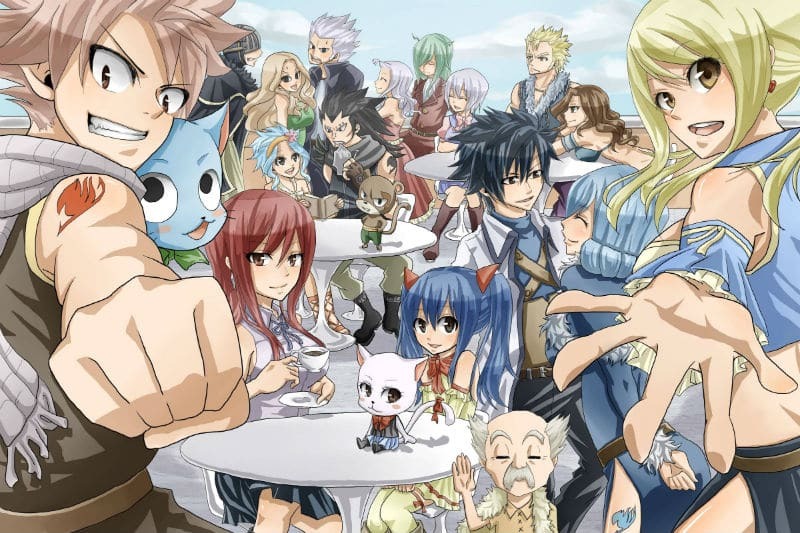 The original draft was rewritten to meet light novel standards and published in December 2015. The second volume of the book series released in 2016 and completed the main story, so the Violet Evergarden novel released in March 2018 was a Gaiden (side story). Fans were hoping that the third book would contain an after story featuring Violet and Major Gilbert Bougainvillea, but it’s largely focused on side characters like Benedict, Cattleya, and Hodgins. So far, a Violet Evergarden manga adaptation has not been announced. Along with the new movie, Kyoto Animation announced that Violet Evergarden Volume 4 is going to be written, but the announcement did not specify whether the fourth book will be more Gaiden/side stories or a sequel the main storyline. Based on the way the second book ended, if it is a continuation of the main story then it’s possible it will be more of an after story. Netflix’s Violet Evergarden dub in English was well-received, although there were legitimate concerns that the context of some scenes was changed by the way certain lines were worded. Unfortunately, no book publisher has licensed the official English translation of the Violet Evergarden novel, but there are completed fan translation projects for the first two volumes (English translations of the gaiden novel are currently in progress). This article provides everything that is known about Violet Evergarden Season 2 and all related news. As such, this article will be updated over time with news and rumors. Meanwhile, let’s delve down into what is known for certain. 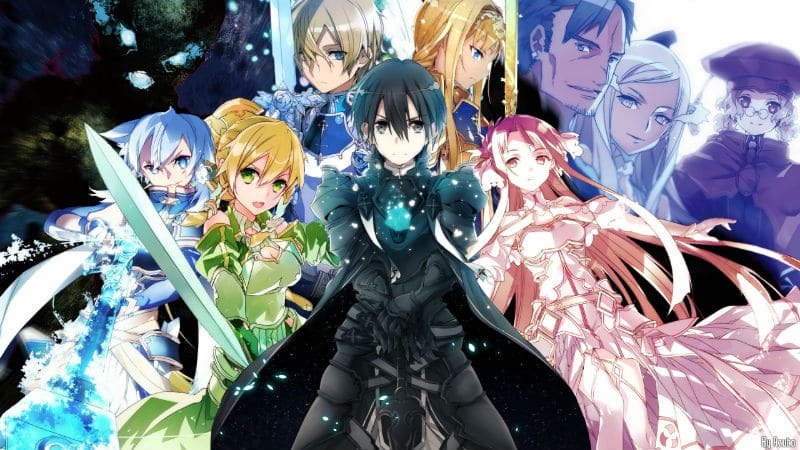 The first volume of the light novel series was critically well-received, with reviewers noting that the story structure (which was chronologically out of order) provided a memorable ending as a standalone story. The story purposefully was out of order since it introduced a mysterious main character and then slowly peeled back the layers of her history so her motivations became apparent. In fact, the original novel didn’t even mention Major Gilbert or her involvement in the war until the last chapter. So for the anime to reveal her background right off the bat was quite a difference. Violet Evergarden Volume 2 expanded the story with perspectives from other characters. It also expanded on her personal recovery after the war and provided more details about Major Gilbert. Overall, the books were about unraveling this mysterious character through stories related to the letters written as an Auto Memories Doll. The original sequence of events were designed to showcase her growth and development while also evolving how the readers view the main character. It was unavoidable that the anime adaption would be restructured since Violet Evergarden Volume 2 had many flashback chapters. In order to create an “entertaining serial tale,” Taichi worked with screenplay writer Reiko Yoshida to give the novel a chronological timeline (here’s a guide for reading the books in chronological order). Anime adaptations will often boil down a light novel series to the essential elements due to lack of time. Slowered paced anime will often need two books at the minimum, but often times a director will rush through multiple novels. 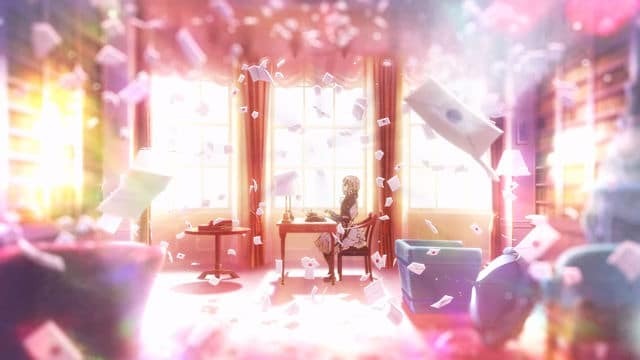 In the worst case scenario, entire novels will be reduced into a single episode, but in the case of Violet Evergarden, the biggest problem was the relative scarcity of source material to draw upon. Excluding the two author’s notes, the first novel was only six chapters and 348 pages long, while the second book was seven chapters and 376 pages. Violet Evergarden Gaiden extended the story by adding 370 pages of side stories and Chapter 1: Princess and Auto Memories Doll was adapted by Episode 5 of the anime. Even the beginning of the anime expanded on the basic premise of the emotionless wounded soldier by showing how Violet was transformed slowly by her new life as an Auto Memories Doll. In fact, the entire training school plot was an anime original story which introduced side characters and fleshed them out. In the original version of the story, readers were already halfway done reading the book before Benedict Blue and Cattleya Baudelaire was ever introduced. In contrast, Cattleya’s mother-like role was emphasized by the anime version, although another side of the doll was shown by how she’d flirt with Claudia “Claude” Hodgins. Poor young Benedict misunderstands women and is rejected by them, so he cries tears of joy when an older man shares his meal with him. The new Violet Evergarden characters “would be the best way to manifest [Violet’s] incipient feelings” and serve as a story foil for Violet’s emotional development. However, the director did take into account how the new characters might influence Violet as a person. It could be said that the director’s second worry was ensuring that the central theme of the anime was Major Gilbert’s last words to Violet. Critics can be overly harsh sometimes, especially when they’re fans of the original source material. Some cynical anime fans have even derided Violet as being “PTSD Saber Learns To Type” based on her resemblance to the Fate/Stay Night character. Kyoto Animation may have a history of creating critically-approved anime original stories based on a beloved manga and light novels, but there’s always the fear that original content will just be filler. 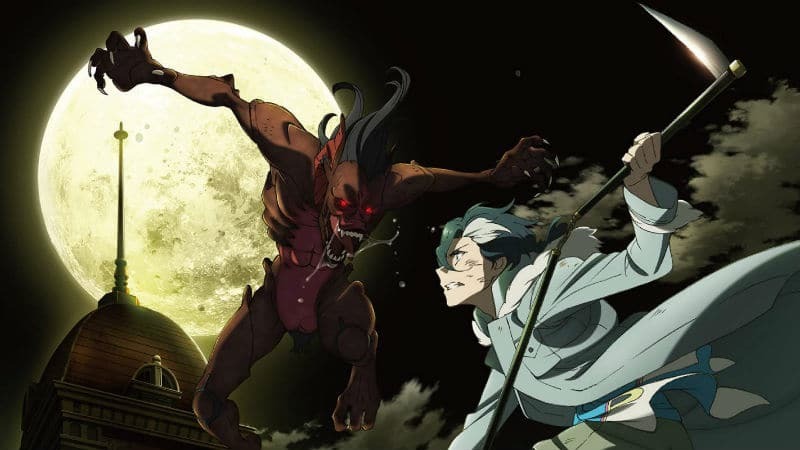 Director Taichi has not directly addressed fans’ fears about filler content, but he does seem to believe the pacing of the original content will meet the needs of fans of the light novels. For fans wanting to compare the novel against the anime, here is a rough guide. The first chapter of Volume 1 was the main source material up until Episode 7, although Episode 2 pulled from Volume 2: Chapter 2 and Volume 1: Chapter 6. As previously mentioned, Episode 5 was sourced from Violet Evergarden Gaiden and Episode 6 pulled stories from the middle of Volume 2. Episodes 8 and 9 mixed original content with material from near the end of Volume 1, while Episode 10’s plot was part of Chapter 2. Episode 11 adapted Chapter 3, Episode 12 adapted Chapter 6, and the season finale in Episode 13 adapted Chapters 6 and 7 from Volume 2. While it sounds like the anime was skipping around out of order, keep in mind the novel was not in chronological order. All in all, the anime adaptation covered chapters 1 through 4, Chapter 6, and used parts from chapters 11 through 13. The good news is that this approach to adapting the novel should mean that it’s possible for Violet Evergarden Season 2 to be created based on original material. The Violet Evergarden Blu-Ray/DVD will be released as four volumes with all 13 episodes from the Japanese broadcast and Netflix streaming episodes. Volumes 2 and 4 include four episodes, while the others have three episodes each. If you were counting episodes, that means that Kyoto Animation is releasing Violet Evergarden Episode 14 on July 4, 2018. The promotional video calls it an “Extra Episode” and it will ship on the series’ fourth Blu-ray Disc and DVD box set. The story for the Violet Evergarden OVA episode takes place over several months between episodes 4 and 5 of the first season. The plot centers around a letter request from an opera house songstress. In September 2018, Netflix announced that international audiences will be receiving the extra episode as a future bonus. OVA episode 14 will stream exclusively on Netflix starting on October 4, 2018. If you look back at the history of Kyoto Animation, three things tend to stand out. One is that they have a tendency to create second and third seasons of anime. The other is that they excel at taking stories like Miss Kobayashi’s Dragon Maid, K-On!, and Love, Chunibyo & Other Delusions and extending the premise successfully with original content. Finally, many of their anime sequels tend to be movies in combination with second seasons. Recent examples include Sound! Euphonium and the Free! series. The first season of Violet Evergarden hasn’t adapted everything from the novels, but since the sequel project is going to be a “completely new” work then it logically follows that the Violet Evergarden movie is best suited to fill that role. The reveal trailer says that the Japanese release date for the Violet Evergarden movie will be in January 2020. A U.S. release date was not exactly specified, although the movie will also be released internationally in the “same time period” as the Japanese release. Presumably, American audiences will receive an English dub although that detail hasn’t been confirmed yet. The video trailer did not show the plot for the Violet Evergarden movie since it only featured clips from the first anime season. The only thing we know for certain about the plot is that it won’t be a recap movie since the Twitter account said the “new Violet Evergarden anime will be completely new.” Therefore, the movie is also unlikely to finish adapting the central theme of Volume 2, which leaves an opening for the second season (for more detailed spoilers the final section below). As of the last update, Kyoto Animation or any company related to the production of the anime has not officially confirmed the Violet Evergarden Season 2 release date. Nor has the production of a TV sequel been announced. Once the news is officially confirmed this article will be updated with the relevant information. In the meantime, it’s possible to speculate about when, or if, the Violet Evergarden Season 2 premiere date will occur in the future. From a financial perspective, there is no reason not to move forward with a sequel. The first Blu-Ray box set topped the Oricon charts upon release, selling 7,322 copies in the first week. An anime is considered to be doing decently with half of those sales numbers. Being a Netflix Original is also a feather in Violet’s cap since the revenue from streaming platforms has been a game-changer in the anime industry. Considering that the movie is coming out in early 2020, it’s possible that the Violet Evergarden Season 2 release date could be coming up in late 2020 or in 2021. For 2018, Kyoto Animation is adapting Tsurune, a novel by Kotoko Ayano about a Japanese school archery club. Free! Season 3 and a Sound! Euphonium movie is also coming out in 2018. As for the studio’s 2019 release schedule, the only project announced is another Sound! Euphonium movie, which means the Violet Evergarden movie will probably enter production some time in 2019. Major Spoilers Warning: The following should not be read unless you have watched Violet Evergarden Episode 13 and desire potential spoilers for Violet Evergarden Season 2. Major Gilbert’s last words to Violet may have been the central theme to the first season, but for much of the audience having Gilbert live on in Violet’s heart is not enough. They want Major Gilbert to be alive and Violet to be able to say “I love you” in person now that she’s capable of understanding the meaning of the words. Unfortunately, Major Gilbert does not directly appear in the finale episode because he presumably has been killed in action. However, a mysterious client appears at the end and many anime fans think it might be Gilbert based on the way Violet reacted. So, is Gilbert alive or not? The answer to the question can’t be given without first considering the central theme of the first season. The story was about Violet’s emotional growth while being independent and overcoming her grief at Gilbert’s loss. Throughout the entire series, Violet has not given up on the hope that Gilbert is alive, but it’s not until the ending that she even recognizes her own feelings as being love. Therefore, now that Violet has achieved this goal, the central theme of Violet Evergarden Season 2 will probably be reunification with Major Gilbert. Yes, although the anime muddies the waters, it becomes very clear in Volume 2 of the light novels that Gilbert is alive and that he eventually reunites with Violet. Gilbert only lied about his own death out of love for Violet since he desired her to forge her own path in life rather than be dependent on following orders. Gilbert’s love for her is so great that he only wants to reunite when she is capable of accepting of his love. Knowing that revelation does not mean that Violet Evergarden Season 2 can’t have some mysteries to be unveiled beside Major Gilbert’s fate. Violet can continue to grow through writing letters and her own origins are a mystery even in the light novels. Volume 4 may also provide an after story featuring Violet and Gilbert together. Let’s just hope Kyoto Animation delivers a new twist on the story that transcends even the books. Stay tuned!